This netbook offers what it takes to be your perfect travel companion that helps you stay in touch on the go. know guys you will agree that in this digital era we are living in, having a constant access to the Internet is now a must rather than a luxury. This video review is dedicated to mobility, flexibility and connectivity- this is Packard Bell Dots C261. This netbook offers what it takes to be your perfect travel companion that helps you stay in touch on the go. The machine is optimized for ultimate mobility thanks to the compact dimensions of 256 mm width, 184 mm depth and 24 mm height. The case along with the hardware filling weighs only 1.3kg. The appearance is classic with no exceptions from the traditional design lines. The case definitely stands out with the effective brushed texture that runs along the case surface. The lid mechanism is stable and provides a balanced and smooth opening. The 10.1″ portable display size features LCD technology at 1024 x 600 pixel quality. The processor that runs this machine is a dual-core Intel Atom Processor @ 1.6 GHz. It is facilitated by the operating memory which is 1GB DDR3.The graphics performance is provided by Intel Graphics Media Accelerator 3600 with 64 MB of dedicated memory. As you can see the keyboard looks pretty compact, the keys are closely placed which provides larger surface for each one, so that it is easily usable by people with bigger fingers. The touchpad is also a standard one. It is centrally positioned below the keyboard, its surface is perfectly responsive and the browsing control is also ensured by the two independent auxiliary touchpad keys. The touchpad is also a standard one. It is centrally positioned below the keyboard, its surface is perfectly responsive and the browsing control is also ensured by the two independent auxiliary touchpad keys. The hard drive storage that comes with those compact dimensions is pretty big – 320GB SATA at 5400rpm. So you can always have access to all the data you need. Since this machine is supposed to be your travel buddy, it has what it takes to keep you connected to everyone. The high-definition audio support along with the 0.3MP camera and the built-in digital microphone provide excellent multimedia and communication equipment. The connectivity abilities of this machine include multi-in-1 card reader, 3x USB ports 2.0, VGA and an HDMI port. 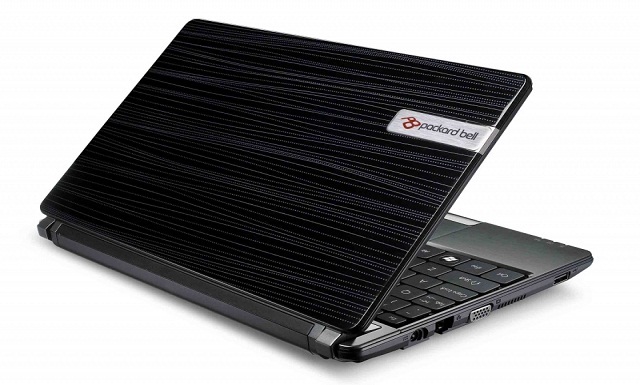 The 2200 mAh 3-cell battery provides a 4-hour battery life according to Packard Bell.